Most business owners believe using a spreadsheet is more cost-effective than using accounting software. However, a spreadsheet is not the answer for accounting procedures in today’s generation. In fact, pursuing with spreadsheets in 2018 might actually be detrimental to your business, and here Amanda from SimpleBooks explains why. We all know entering a wrong number within a spreadsheet would be problematic – something as simple as a single number being placed in an incorrect place can make the entire document completely redundant; as the formulae can carry the mistake from one box to the next, and the next, and so on. Making one mistake when entering the data can lead to a domino effect that can send inaccurate figures working their way all over the spreadsheet. You could be left scowling at your final spreadsheet after you have spent hours completing it – spending further time trying to track your mistake. When it comes to shared spreadsheets, where there are many people making amendments, it could be near-on impossible to determine who made the blunder in the first place. Within a typical spreadsheet, many people can jump in and out of the same document multiple times, creating a great deal of misunderstanding around the figures. Spreadsheets don’t easily integrate with other business systems, which means that you have to open up several programmes to complete a single task. Even when using multiple monitors this can prove difficult. It isn’t just business applications that are incompatible with spreadsheets. Many employees don’t feel confident working with them either. Spreadsheets can become very complicated, very quickly – giving staff a lot to think about and taking up precious time. Whilst spreadsheets are a great tool for many tasks, accounting or bookkeeping isn’t necessarily one of them. Spreadsheets are general purpose programmes, and for maximum efficiency, you need a specialised solution and cloud accounting software fits the bill perfectly. Some accounting software even allows for real-time updates on all devices, allowing multiple users to revise figures no matter where they may be in the world. It can also be integrated with other programmes to ensure streamlined processes and accurate data input, with customisation options available. 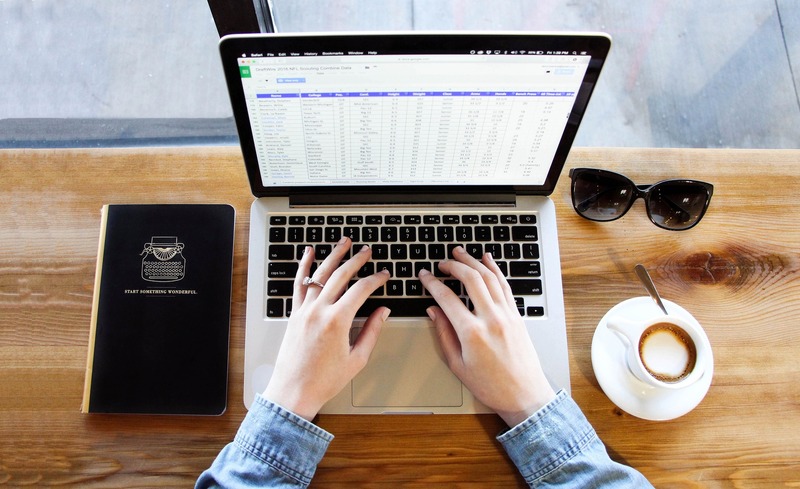 Spreadsheets might feel familiar, but they’re slowing down your business and costing you a significant amount of money because of how complex they are. They may be widely used for accounting, but they aren’t built for it. Cloud accounting is designed specifically to help you get your finances in order from the start. More on accounting software and bookkeeping.